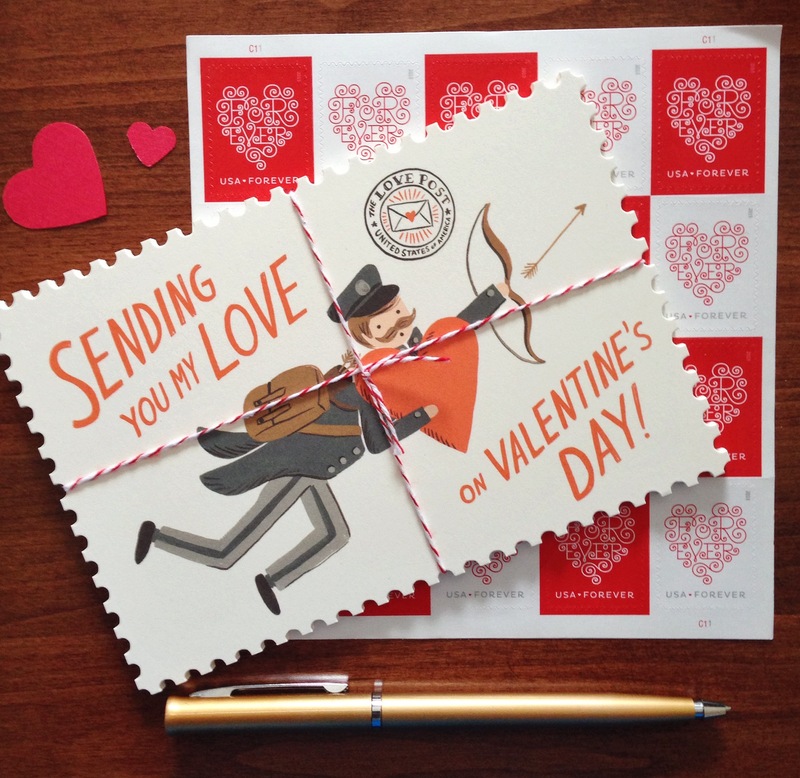 I love sending snail mail and valentines are no exception. Some years I have hand made valentines, but in the past few years I’ve bought kits and it’s worked out really well. You don’t have to send them to everyone you know, just a few friends and family members that you know would appreciate the thoughtfulness. It’s not too late to buy your valentines to get ready to send them out next week. My top picks are Rifle Paper Co, Paper Source, and then Michael’s (in-store). I made these valentines two years ago, but I recommend buying the kit. They took forever to make, but they turned out great! 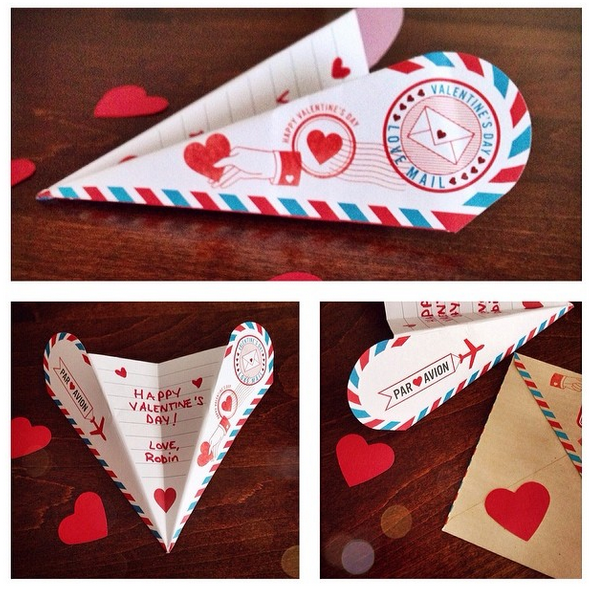 Last year I sent these paper airplane inspired valentines. It was a kit from Michael’s, and I believe it was the Martha Stewart brand. This year I’m sending these Rifle Paper Co postcards. They shipped really fast and have really cute details even on the back of the postcard. They have many other designs that are just are cute as this one. 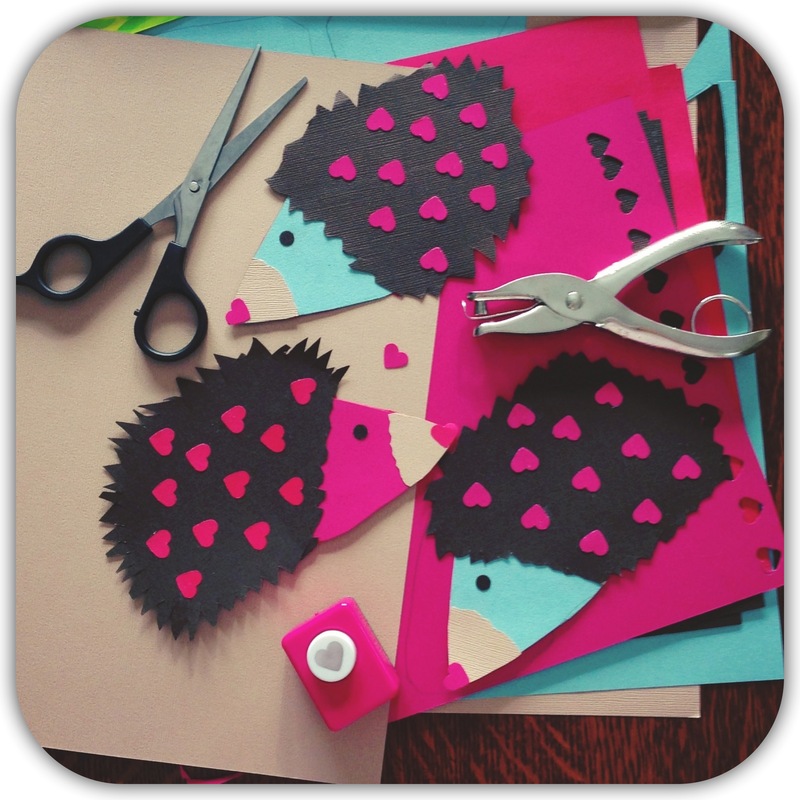 Do you send out valentines? Do you buy them or make them yourself? These are all so cute! I usually use generic blank note cards and dress them up with valentine colors. I love your postcards though especially with the perfect stamps to match! Thank you!!! It’s nice that you send Valentines, very sweet! Love those Rifle Paper Co postcards! They are so cute!! Thank you! I love Rifle Paper Co.! I use them for wedding cards too and buy them in a box set. Saves me time and money!